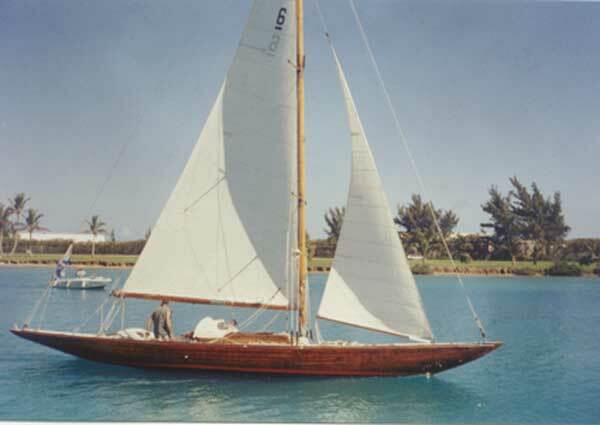 US 64 "Erne" was a design collaboration between Olin Stephens and Herman Whiton. She was built to Lloyds specifications at Henry B. Nevins' yard on City Island, New York in 1936. I have been told that Herman Whiton designed "Erne" (Erne is Gaelic for "Eagle") for himself. She is pretty long at 40ft, with a beam of 6.5ft. I bought Tao in Mystic, Connecticut from Mystic Shipyard. They had a lien on the boat and a guy called Paul A. St Germain was the owner. He had some work done on her, replacing some ribs and some other work, I believe he bought the boat from somebody in Maine. 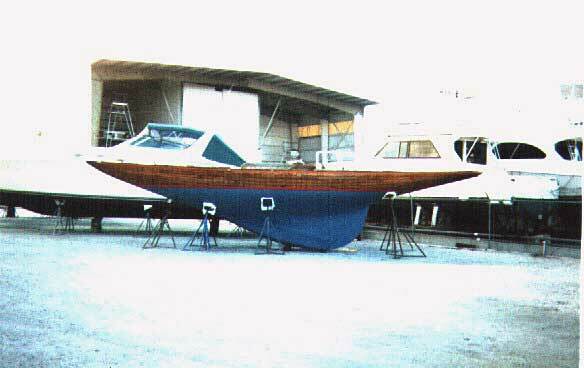 The name of the boat then was FREE and they raced it once in Newport. The Museum of Yachting there has the name and a picture of the boat racing with a black and white striped drifter, Paul told me that there were some pictures and information at the Mystic Seaport museum, but they never contact me back. The distances as (the crow flies) are as follows. Portsmouth to Bermuda 700 nautical miles. 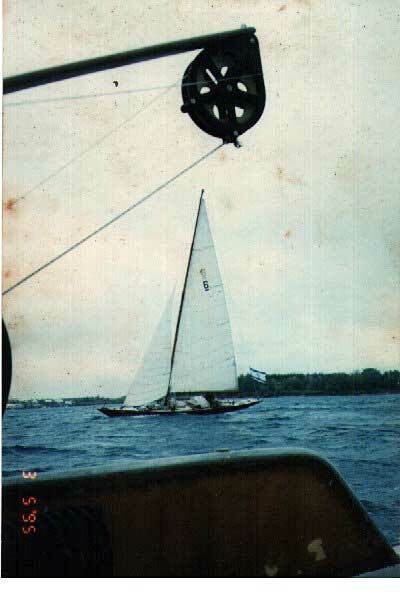 When I sailed Tao from Florida to New Hampshire I traveled offshore aprox. 250miles to the East to keep clear of Cape Hatteras and the trip was great. I got a lot of miles out of the Gulf Stream, total time was 16 days. Then i needed to tackle the Pisquata River and match the Presidents Bridge opening while under sail, but that is another story.... The fact that a six meter is so close to the water and very silent underway, provided me with all sorts of experiences at sea, first you became very good at dancing , after lowering the sails and getting back and forth on the deck. 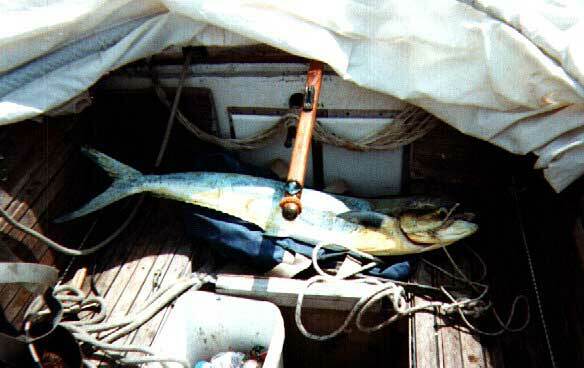 The fishing was excellent every trip, the boat moved so silently that pelagic fish, tuna and mahi mahi are always in the neighborhood, flyng fish land on the deck constantly. Dinner... and Lunch... and Breakfast? To keep out of the way of traffic , you need to pay attention and have researched the location of the main shipping lines. this way your chances of a close encounter are less, I get the info from the shipping companies and cruise lines, (direction of travel frequency destination , number of ships and so on). I pass all this info into my chart and then i chart my course to cross the shipping lines where the least amount of lines intersect. you need also to know were the fishing grounds are and what types of catch fishermen are going after, it is important in areas like Georges Bank and the South Channel. Every area has is own characteristics. 1. A double staysail for downwind, twin jibs. 2. An extra forestay that runs all the way to the top of the mast and attaches to the furthest point on the bow. I use this to grab onto something on the foredeck and to secure the upper portion of the mast when the going gets rough. If the winds get too light I can use it for another sail. 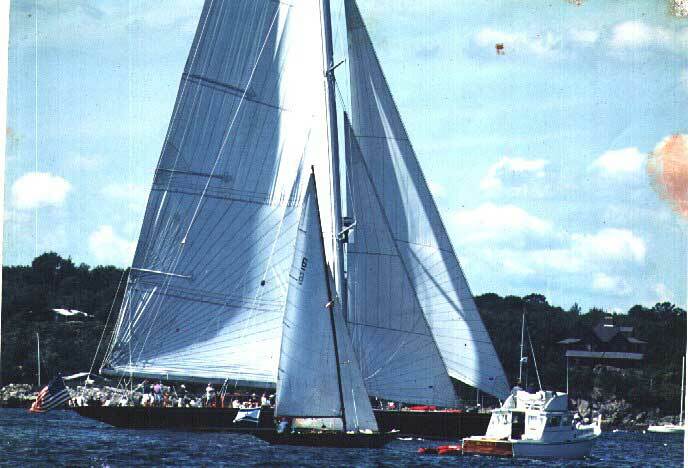 With full stores of approximately 700 pounds, the average speed with main and 85% jib is 6.5 knots. My best trip was from Portsmouth, N.H. to St. Georges, Bermuda in 9 days. When the wind gets strong ,over 30 knots, I lower the main and continue under jib alone. My speed goes down to 4.5 knots, with no sails and winds 45Kn and more under bare poles she points 23degrees to windward and moves at 2 - 2,5 knots. She tracks the course like a bullet. 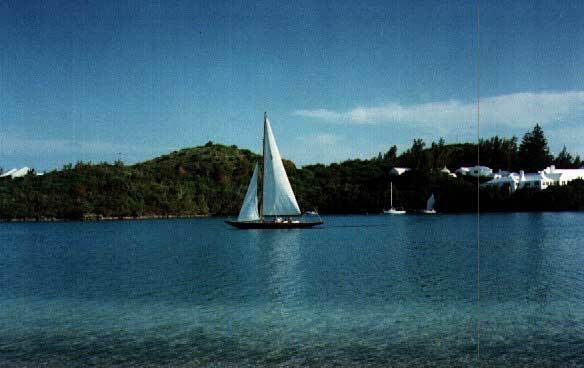 The only point of sail we do not favour too much is dead downwind.